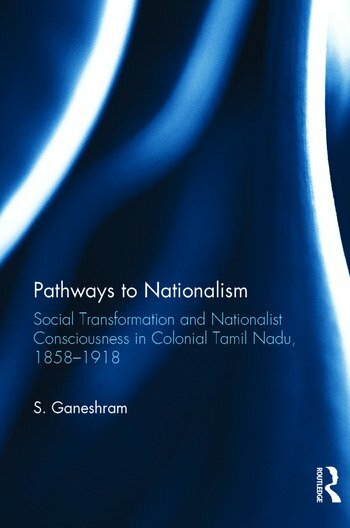 This book examines the socio-economic factors in the rise and development of nationalism in the Tamil-speaking region of the Madras Presidency in India between 1858 and 1918. It analyses the dynamic interaction between socio-economic conditions and nationalism in Tamil Nadu by applying both historical methods of documentary analysis and a sociological perspective. The volume looks at the advent of Western education and the role of Christian missionaries, the growth of the local press, socio-religious reform movements, decline of indigenous industries and the land revenue policies of the colonial government to arrive at a comprehensive portrait of the rise of nationalism in the Madras Presidency. The volume is invaluable for scholars of colonial history and the Indian freedom movement in southern India. S. Ganeshram, who taught history for over two decades in S.R. Naidu College, Sattur, is now Registrar of Tamil University, Thanjavur, Tamil Nadu, India.